The outdoor living and dining season may have passed, but spring will return soon enough. Even with the winter just arriving now could be the perfect time to spruce up your outdoor space and add some life to your deck or patio. And what better to improve your area then adding some high-quality outdoor furniture! 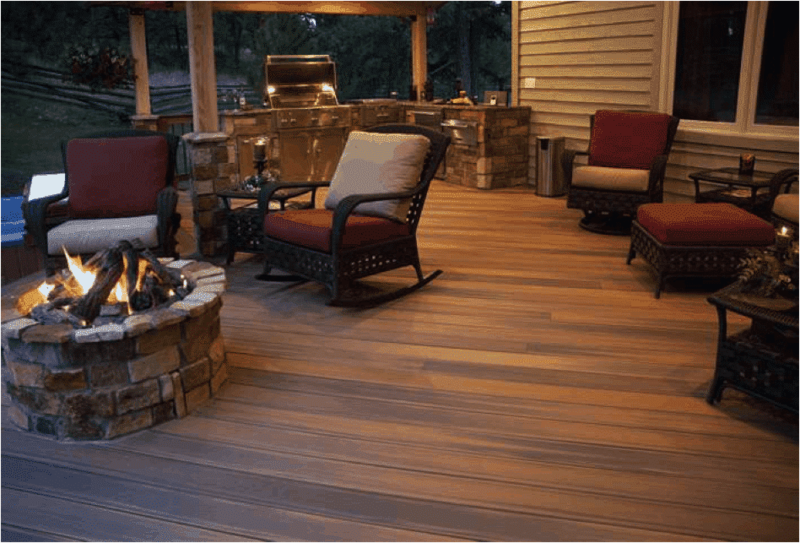 We’ve put together some handy tips inside this guide to help you pick the ideal furniture for your decking area. This guide will include information on almost all kinds of outdoor furniture, as well as the pros and cons of the materials this furniture can be made out of. Happy shopping! 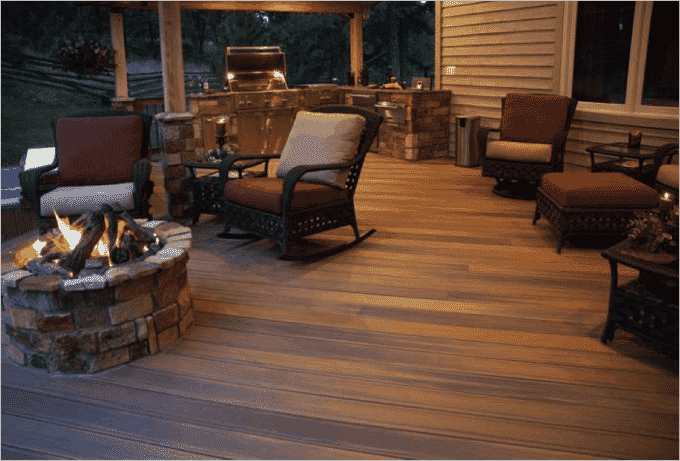 While you may already know the dimensions of the furniture you are replacing, it is a good idea to obtain a pad of graphing paper and get to work outlining your deck to scale. Doing so will help you to avoid your deck too crowded with excessive furniture. Begin by drawing your deck to scale. (1 inch equals 1 foot, example). Indicate on the drawing the location of stairs and doorways. 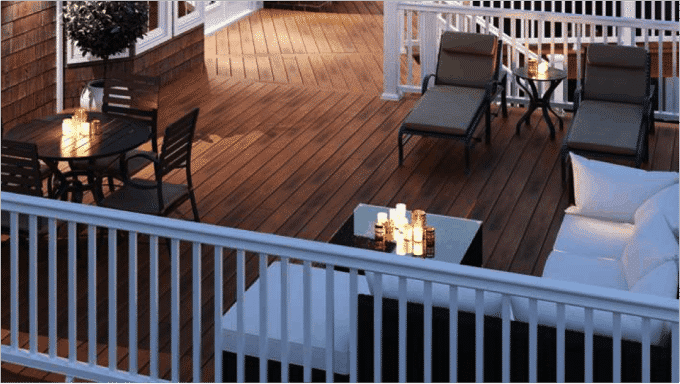 Overcrowding can quickly lead to your deck feel cramped and uninviting. Make sure to include the necessary space for guests to push back their chairs and walk around as they please. Remember to include your grilling area! Are you the type person who likes to have outdoor parties and large gatherings? Consider buying furniture that you can fold up and easily store when not in use! 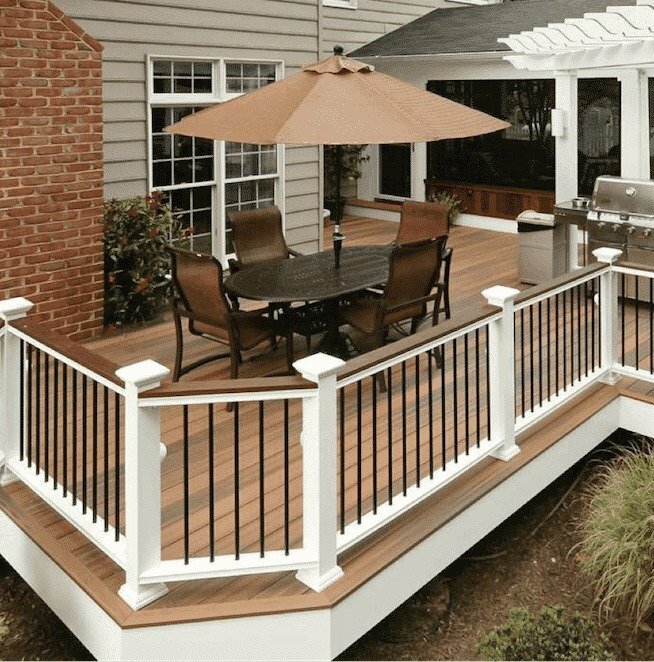 A deck box can protect cushions, grill items, or outdoor accessories while also making efficient use of the space you have. Certainly this is a worthy investment. Which deck furniture material is best for your space? Here is our rundown of the pros and cons of different furniture frame materials. 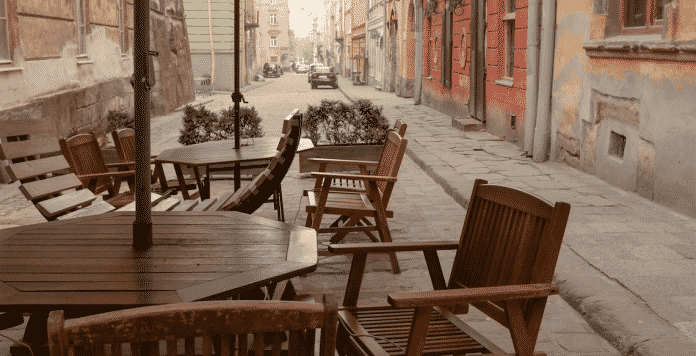 What’s the best place to shop for outdoor furniture? 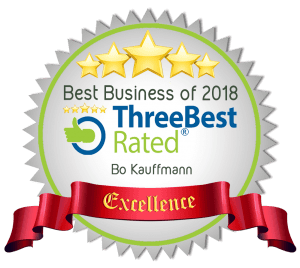 With so many options to choose from it’s possible to buy your furniture at big box retail stores, high-end furniture retailers, or even online. The only limitation is your budget! Here are some further tips from ConsumerReport.org to help you along the way. Be certain to pick chairs and a table with a proper height. A table that is too high or chairs that are too low can make you and your guest uncomfortable. Examine the table you have purchased closely. Is it sturdy and made of high quality materials or does it feel shoddy? Are there exposed screws, and if so are they stainless steel? Is the finish of your furniture smooth? Outdoor furniture should be free of potentially dangerous sharp edges. Will the armrests of your chairs get in the way of the table? What about the seats? Is the angle of the seat unpleasant or can you recline in your chair? Your guests will probably not want to eat their meals perched forward in their chairs, no matter how riveting the discussion might be! Don’t forget cushions! Seat cushions should provide plenty of padding and be durable enough for the outdoors and any inclement weather. 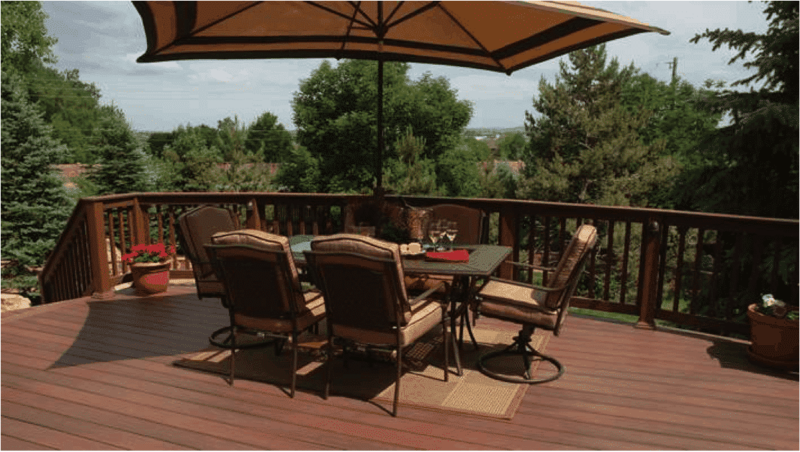 Sunny days on your deck can be amazing…until sitting beneath a blazing sun threatens to ruin your experience. The quick fix for this problem, of course, is an umbrella. Provided that your new table will hold an umbrella you will need to select a stand or a base. A heavy stand will hold the umbrella snugly and prevent it from being blown over during periods of strong wings. Wooden umbrellas are usually pulley operated and it may make it difficult to angle them to block the sun. In order to give your umbrella a long life, ensure that it is make of a durable material that will withstand UV rays and rain. Make sure that your umbrella is at least four to five feet larger than the area you wish to provide with shade. Free-standing umbrellas are another option, but as is the case with a table mounted umbrella, make sure that it overs the durability and protection that you need. When making any purchase a little research can go a long way to make sure that you get the most for your dollar! Hopefully this handy guide will be the starting point you were looking for.